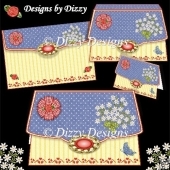 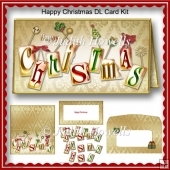 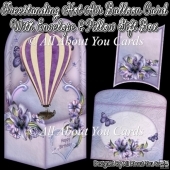 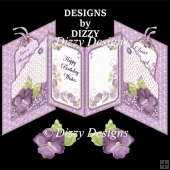 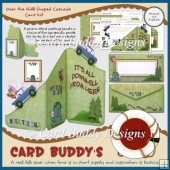 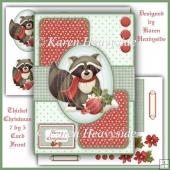 Quick and easy shaped tri fold card kit and matching envelope. 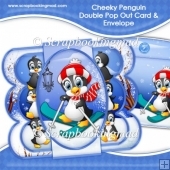 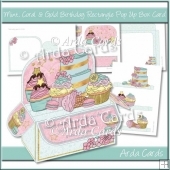 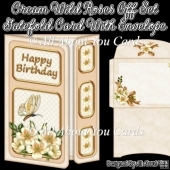 Comes with optional decoupage layers and several different sentiment panels for a variety of occasions. 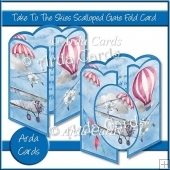 All sheets are 300 dpi, high resolution, for quality printing and have step by step instructions. 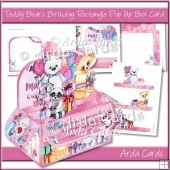 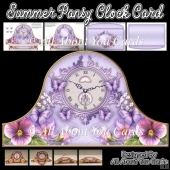 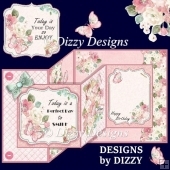 2 sentiment panel sheets including panels for birthday, retirement, Mother's Day, Father's Day, Anniversary and a blank panel for you to modify. 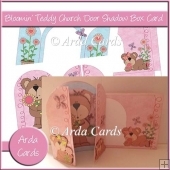 Finished card measures approx 7.75 inches tall with each panel measuring 3.75 inches wide.